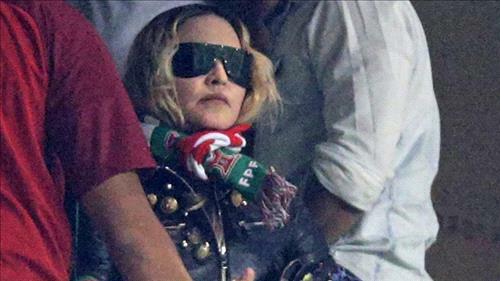 AMMONNEWS - Lisbon’s city council on Monday revealed details of a deal granting Madonna rights to park a fleet of cars in the packed Portuguese capital after being accused of special treatment for the US pop diva. The news provoked indignation across the political spectrum in a capital that suffers a lack of parking and bad traffic jams. The Left Bloc, a coalition partner in the Socialist-led government, called for the parking problem to be dealt with “responsibly” given the difficulties residents face. The main centrist opposition party PSD said it wanted to know “the reason why the mayor granted such an exception”. The other centrist party CDS attacked Lisbon’s mayor Fernando Medina and accused him of “using heritage assets for his advantage”. “The city of Lisbon does not belong to Fernando Medina,” CDS said. City hall decided Monday to reveal the contents of the contract with Madonna, saying it was drawn up “to avoid traffic snarl-ups along a narrow but very busy road”. Signed in January, the deal gives Madonna access to the land for 720 euros a month. It rules out access to the neighboring “palace” building which is under negotiation to become the new East Timor embassy. Madonna’s contract will cease if East Timor takes the building for its embassy.